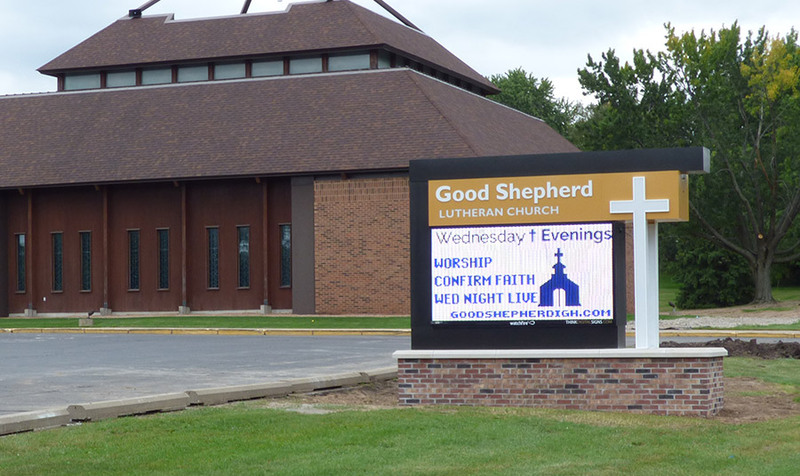 Good Shepherd Lutheran Church implemented a major architectural redesign and needed a new sign to match its fantastic new façade. 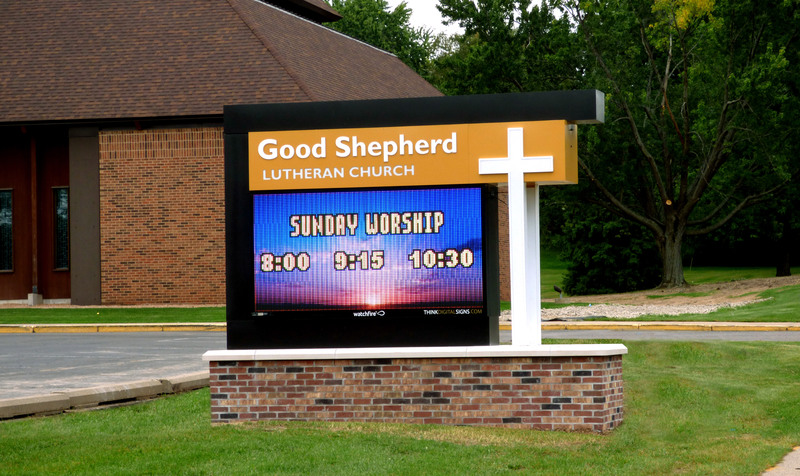 Think Digital Signs worked with the church’s architects to create a workable sign design that complemented the creative redesign of the new building. 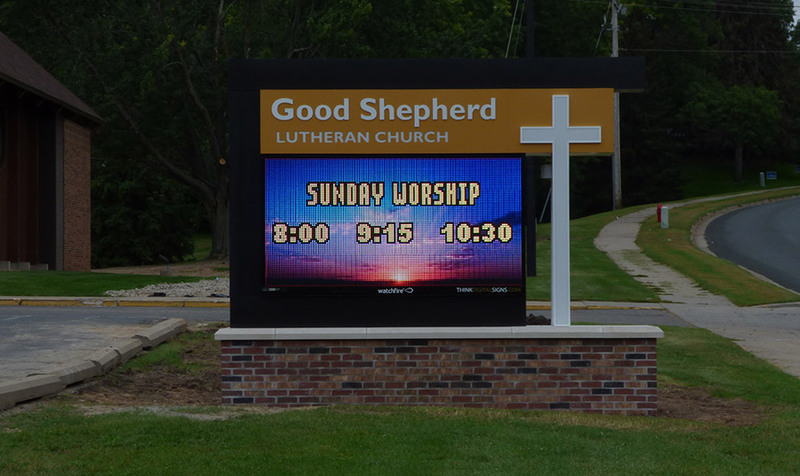 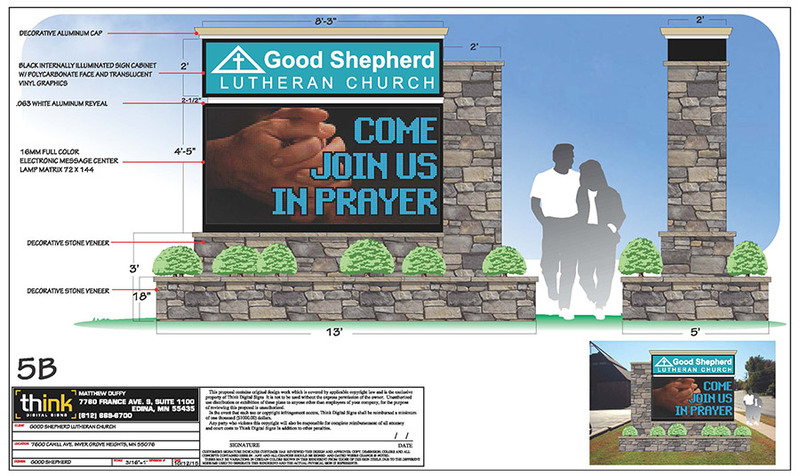 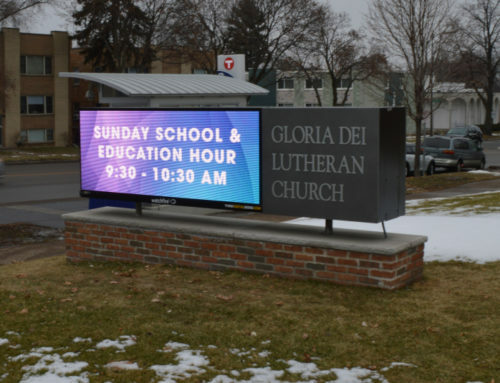 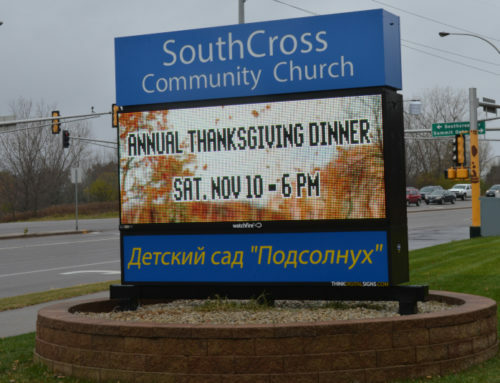 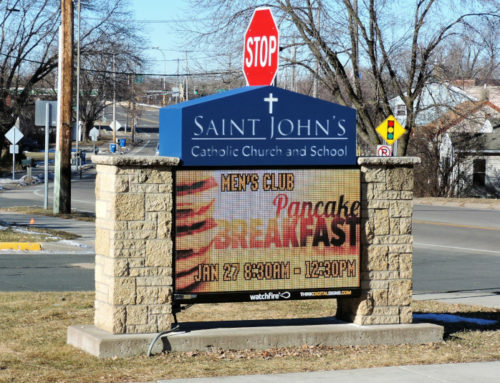 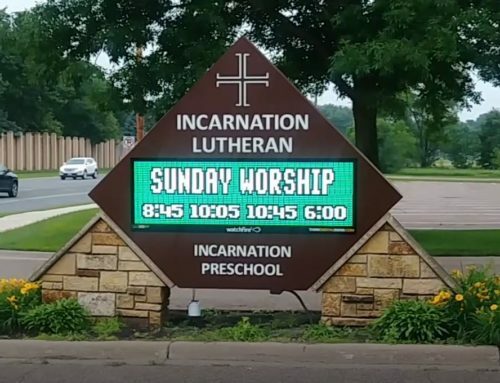 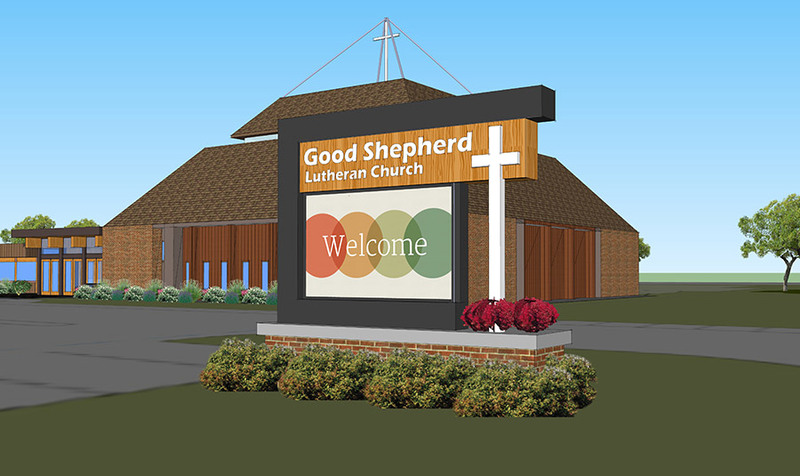 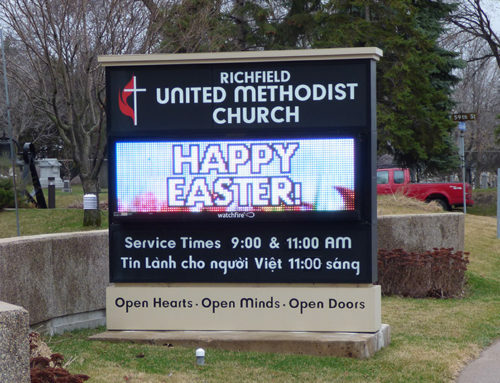 The sign matched Good Shepherd’s vision for digital communication, and created a new landmark in the city of Inver Grove Heights.